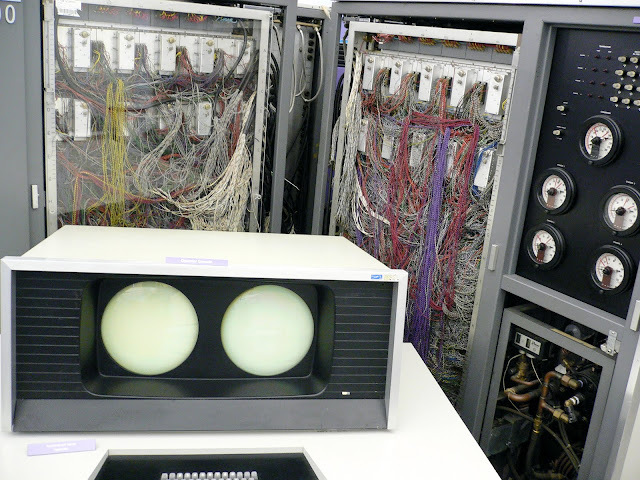 The Control Data Corporation 6600 was the world's first supercomputer, designed by Seymour Cray and James E. Thornton. The 6600 had 60 bit words with 18 bit addresses, for a potential of 256k words (or about 2 megabytes) of memory, but was commonly only shipped with 128k words, while the 6400 was commonly equipped with 64k words. It processed 10 million instructions per second, awesome speed for 1964. Characters were 6 bits wide (64 possible characters) and 10 of them were packed into the larger 60-bit word. The programming language Pascal was created on the CDC 6000 series computers at ETH Zurich (Federal Instute of Technology).The machine was Freon cooled. Selling for $6 to $10 million each, Control Data Corporation manufactured about 100 machines. The console screens were calligraphic, not raster based. Analog circuitry actually steered the electron beams to draw the individual characters on the screen. The CDC 6600 was a mainframe computer from Control Data Corporation, first delivered in 1964. It is generally considered to be the first successful supercomputer, outperforming its fastest predecessor, IBM 7030 Stretch, by about three times. With performance of about 1 MFLOP, it remained the world’s fastest computer from 1964–1969, when it relinquished that status to its successor, the CDC 7600. The system organization of the CDC 6600 was used for the simpler (and slower) CDC 6400, and later a version containing two 6400 processors known as the CDC 6500. These machines were instruction-compatible with the 6600, but ran slower due to a much simpler and more sequential processor design. The entire family is now referred to as the CDC 6000 series. The CDC 7600 was originally to be compatible as well, starting its life as the CDC 6800, but during the design compatibility was dropped in favor of outright performance. While the 7600 CPU remained compatible with the 6600, allowing portable user code, the PPUs were different, requiring a different operating system. 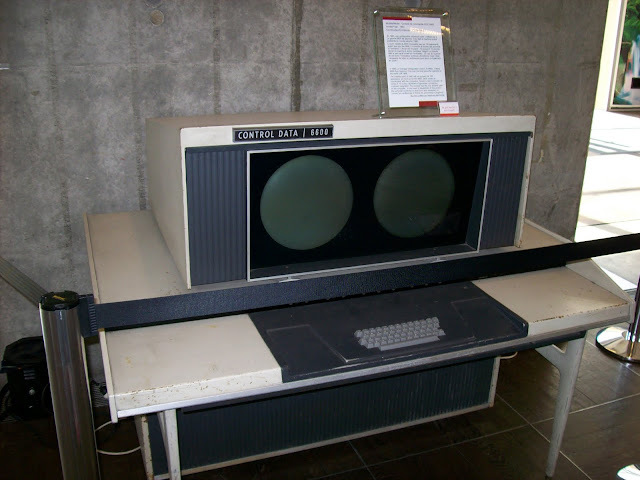 A CDC 6600 is on display at the Computer History Museum in Mountain View, California.